It’s a great message how to save nature. I am happy that at this age children are learning how to save our planet earth. I am also working for the same cause “Save Nature”. I am the Founder Director of Green Morning where we translocate trees . We need not cut the trees, we can lift the trees with roots and plant them wherever we want and give rebirth. We have successfully translocated 8000 trees all over India. I am glad to see that these young kids are also conveying the same and making our work easier. Thanks to JHPS. I would like to congratulate all the staff for making such a wonderful programme. The programme is good. It teaches about saving trees. This programme inspired us to save nature. The Parent Day programme and performance of the children were very good. Kids were looking lovely. For these performances teachers had put in a lot of effort. One month is very less time for the kids to jel up. Childrens’ performance was really good. In my childhood, I used to cry till class III to go to school. I always wonder why Ashrith never does that. If school is like JHPS no one does. They will be really happy to come to school. The second thing is the theme, the concept and the effort put in were really great. This year I have seen lot of improvement in Ashrith’s performance when compared to last year. I expect he will do much better in the coming days too. Thank You. This is a great programme. Kids did a great job.The message about the importance of saving Nature is conveyed at the early age to our kids. So this is very important Message. Thank you for this programme. When we were young we never had these type of programmes related to Nature and Mother Earth. We have already done enough damage to the planet. Pass on thesekind of messages to younger generations, so that they can save the planet for the next generations. I think the theme was perfect. More than anything, every time I walk in to any of the Parent Days, it reminds me of another innocent world. Tears were rolling down while watching the performances of these innocent kids and it’s a different world altogether. I am proud that my both kids are with JHPS. Thank you. I think Aditi has been dancing continuously last year and this year.Iam very happy for her performance. It is quite an emotional journey to see all the kids performing so well on the stage and special applause for the dance teacher. Iam sure all the parents will agree with me as we can’t make our one kid dance and the dance teacher is taking so much pain to make them dance. I thank you so much. I am just planning to join Aditi in dance class only because of the dance teacher. We look forward for this event every year.Even last year,Advaith had given the speech. This year he brought his grandparents from Bangalore to watch the programme. The programme is good and pleasant with dances and songs throught.Thank you. From one of my personal experience,I would like to tell you that Mr. Murali Mukund Chairman of JHPS is a very down to earth person. When I came to JHPS for my daughter’s admission he was very friendly. In Hyderabad, now a days lots of schools are only money minded. But JHPS is totally different.Thanks to JHPS for making my child’s beginning really good. She is doing well now,though she used to scribble every time.Next year my younger daughter will also join JHPS.Thank you. Today is a very auspicious day.Everybody is wearing yelow.My grandson made us reach the school by 8.30a.m. directly children are performing on stage in one go. I really appreciate the teacher for their effort. Ultimately the leader, the Chairman ,if the leader is good then everything is good.Thank you and congrats. forward by the children. And it is clearly evident at JHPS.Thank you so much JHPS. .
Saketh had performed in six dances continuously since last year but I have been waiting for him to perform in Sandhya mam’s dance. Each dance was excellently choreographed and the tough steps and moves were performed with ease by the students. Special thanks to all the teachers for training them so well.The speeches given were so long and yet they were able to speak without fear. Hats off to the teachers. Iam happy to see my child’s performance and her grandparents are also here today.So it’s a very special day for all of us. Iam thankful to the teachers and the audience for their encouragement and the hard work put in by the children.Thanks to everyone at JHPS. it was amazing.I appreciate the teacher’s hard work and children’s performance.I also would like to congratulate the Management for achieving the award. First,we would like to thank the Management,school,and the teachers for achieving the award. My son’s performance was fabulous. I thank the class teacher for nurturing the children so well.We are very happy to see children performing so confidently at this age wihout any stage fear. Iam impressed.Thanks to teachers for bringing out the talent.Congratulations to the Management for achieving the award. My daughter everyday gets up in a good mood and is so excited to go to school. This is the difference that we see between school and home. We are very happy to see the growth both in academics and non – academics areas. We as parents are overwhelmed after seeing our kid’s performance on the stage. Excellent and Kudos to the children and the teachers. Just one word to fit in all my appreciations – It’s just outstanding.I am speechless looking at the performances of the kids. Tears were rolling as the children were performing so confidently.Thanks to all the teachers. I am very glad to see my daughter performing very well on the stage, as she is shy in nature. Today’s performance was amazing.The hard work put in by the teachers was clearly evident.Thanks to the class teacher. My son is shy in nature, after seeing his performance I am impressed.Thanks to the Management and teachers for bringing out his talent. My daughter’s performance was fabulous.I thank the class teacher for taking good care of my child and I can see lot of improvement in Krisha. We are very happy to see children performing so confidently on the stage.I would like to congratulate the school for achieving the award. First I would like to congratulate the school on receiving the award. I am speechless looking at the performance of the kids. It was an amazing and extraordinary performance.Barbie dance was superb.Thanks to JHPS. After watching this show. I can proudly say that JHPS is one among the top most ten schools in India. The programme was extraordinary and excellent.The story of Cinderella was enacted by the students of LKG with great confidence and excitement. We always look forward to Sandhya madam’s dance. Every month we watch the programme videos twice in our house to see our child’s performance. Extraordinary performance. I am the mother of Mihika. I enjoyed the same as I did in the last year. We request the school to provide Parent Day CD. My daughter was very shy last year but it’s really good to see much improvement in her. I feel she can do everything now. Kids just went crazy in the last part of the programme. It’s really good to see them enjoying the entire ceremony. Introduction given by Sonia madam was very good. Overall the programme was very good. Thank you. Amazing event! Children participated in all kinds of activities. Good effort by all the teachers. Looking forward to see such programmes. Thank you all. I think I should learn from my son how to hold the mike. I’m really happy to see his improvement. He felt sick for almost one week. He couldn’t attend the school. In spite of that, he was included as a rabbit. So he was happy hopping around yesterday. All of us enjoyed the programme. Thank you madam for your support. Everybody had equal contribution in the program’s success including the parents . I really appreciate that the school is imbibing both patriotism and devotion towards the country at an early stage. The programme took us back to our childhood and reminded us about all the happy moments. Hats off to all the teachers. It was a wonderful programme and purple has always been a favourite colour of mine.Thank you for encouraging my kid on stage. The day was a beautiful morning for all of us. We enjoyed the programme a lot. I really appreciate the entire staff and school management for their untiring effort. It was an excellent performance by kids. I could not believe that my son had sung Telugu song ‘Tenela tetela matalato’ with proper pronunciation and diction. It was completely a tongue twister and children sang very well. Effort of the staff was clearly evident. We enjoyed the programme thoroughly. We are happy to see the improvement in our child. Every year we see something new in Parent Day and this time it is wonderful. Wonderful programme. I have no words. I am very happy to see my son perform on the stage as it is very difficult to make him stand in one place. This programme reminded me that ‘We have a child in each one of us and we should keep him alive’. The programme is exceptionally well organized. The entry into the hall gave a great feeling of patriotism. I am happy to join my kid in such an organization. I have not seen such team work before. Hats off and thank you. I am very happy to join my child in this organization. Thanks to the management for organizing such a programme. It was a wonderful programme and I am happy to see my child perform classical dance. We were spellbound by the performance which was beyond our imagination.Great effort by the teachers. We appreciate the teachers hard work and children’s performance. First, we would like to thank the management, school, and the teachers for this kind of an event in JHKS. We are very happy to see children performing so confidently at this age without any stage fear. They are the future citizens of our country. Thanks to all of them. This is the first occasion that we have attended this year. 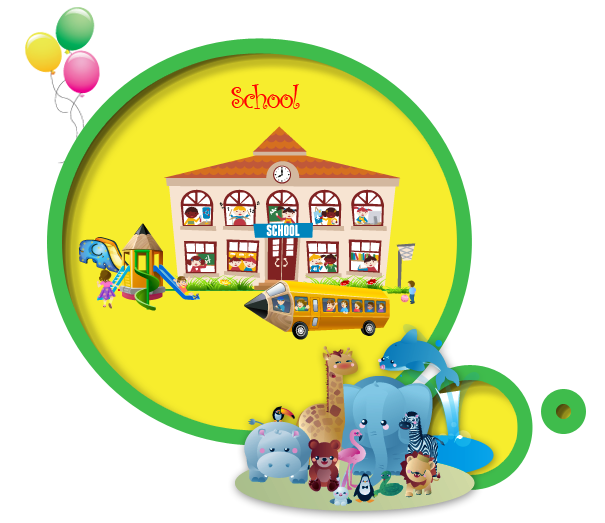 We are surprised to see children in two different facets i.e.at home and in school. Their performance was amazing. Thanks to the teachers for bringing out their talent. We want more and more such events to happen. Kudos to the teachers. We parents are overwhelmed after seeing our kid’s performances on the stage. In ten minutes the children depicted the whole Ramayana very well. Excellent and Kudos to the children and the teachers. One word: Outstanding. I am speechless looking at the performance of the kids. Tears are rolling down from my eyes. I am very happy to see the children perform so well at this age. When I was a child I did not perform on the stage. After seeing my child’s performance, I also would like to perform. Real hard work done by the teachers which was clearly evident. At this age children performed very well. I am excited to see my son perform on the stage. Whenever I come for Parent Days, I am reminded of my school days and I feel very bad as we did not have this type of good school, a school like JHKS in those days. I am very happy that school is making an excellent effort in improving the child’s innate talent and helping them perform better. I really loved the discipline which the school is inculcating in the children. Today it was written in the diary to send my child with sandals for the programme but my daughter was not willing to wear sandals. She said that we should not go to school without shoes. With this incident, I can confidently say that my daughter is in the right hands. We enjoyed the programme thoroughly. We are happy that we made the right choice by choosing this school. I am working as a teacher in another school. I feel that I have taken the right choice for my child by choosing this school. I thank each and every teacher as they are doing a fabulous job in grooming the kids. My child is a little shy and calm but I am very happy to see her perform on the stage. I feel great about the decision I have taken in choosing this school. I am a software Engineer. Yesterday I was a little early to home and while playing with my son, I was scolding him for his mischievous behaviour. Today, I could see the hard work of teachers. Every child got an opportunity to perform on the stage and without being touched and beaten children are trained by the teachers. It’s a marvellous job and teachers hard work is commendable. Definitely an outstanding and scintillating performance. Thanks to all the teachers for making this show a grand success. As expected teachers and kids worked very hard. It is a challenge to organize such a big programme with little kids. Wonderful performance. We all enjoyed. It’s really great to see our kids perform on stage at this age. Just 4 year old kids are able to perform so confidently and as parents it is very difficult for us to make them do anything at home. Teachers are really doing a great job in training kids to perform on the stage. Surprised to see my kid as a blue fish, performing confidently. Thanks to all the teachers for making this show a grand success. Teachers and kids worked very hard. Wonderful performance. We all enjoyed a lot watching our kids exhibiting their talents. Sravika, the mother of a UKG student was a student of JHPS. She was very happy with the school’s achievement and the recent changes. She said, management and teachers are really doing a great job in imbibing values and beliefs through such programmes. I would like to congratulate the Class Teacher and entire JHKS team that made this Parent Day a great success. Involving all 60 students and giving practice during school hours within a short time requires a lot of patience and creativity as well. I have seen my child Saanvi Khandelia’s progress immensely not only in academics but also in other co-curricular activities during this tenure. She is basically a very sensitive and a shy girl. I am grateful to the school as it has helped her gain confidence and has made her a great orator. Wishing all the very best to the entire team of JHPS. Thank you for all the support and cooperation. The programme was really awesome. Really shocking to see Jwalith dancing on stage. He is a very hyperactive kid. At last he has settled down. I really thank all the teachers present over here. It’s really a good feeling I am getting after watching the programme. Now I really want to say thank you from the bottom of my heart. Thank you so much to all the teachers and management. The effort made by the teachers and management is awesome. Children have put in their best effort. So I am really thankful to each and everyone of you and parents who prepared the students so well. My daughter is not a very active kind of a person. She is very shy in front of everyone. I really enjoyed seeing her on the stage. So thank you so much to the teacher who made her practice so much. Every school has programmes, but most probably one or two kids will participate from each class. It’s very good that each and every student of every class is participating. It should go a long way in their growth and development. Thank you. I want to thank everyone who conducted the programme in such a wonderful manner.I wish we have such kind of programmers’ more often in future. And I would like to thank all the heads and teachers present over here and my wish that the school reaches greater heights. Change is the essence of life. Unless there is a change there is no progress and what a phenomenal change. I gave my first speech when I was in class VII. Now we can see the kids performing here without any hesitation. It is really a phenomenal change. All credit goes to the school management as well as teachers, now the present demand of the world and society is we have to excel not only in studies but in all the spheres of life. Two years back I was in dilemma which school should I put my kid in. I am really proud that I have taken a very good decision and I have admitted my kid in this school.